So, Eva's cold has gotten a little worse today so I thought we should stay in and take it easy today. Plus I felt I was maybe getting it myself which is even worse as I'm 26 weeks pregnant today and have a sick child to look after as it is, think that would be much worse! We had lots of cuddles this morning and then I remembered that I had been wanting to stud some of Eva's clothes a while ago. I'm a bit of a fan of the rock chick look anyway and did her jumper last year after doing my own inspired by this post. Here are the tools required. 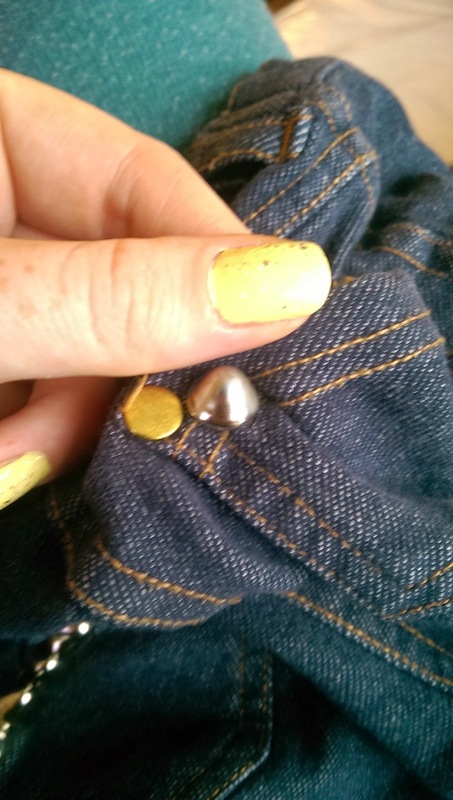 I used a pair of 18-24 month jeans that say Next on the label but are from a Jack and Jill fair yonks ago. 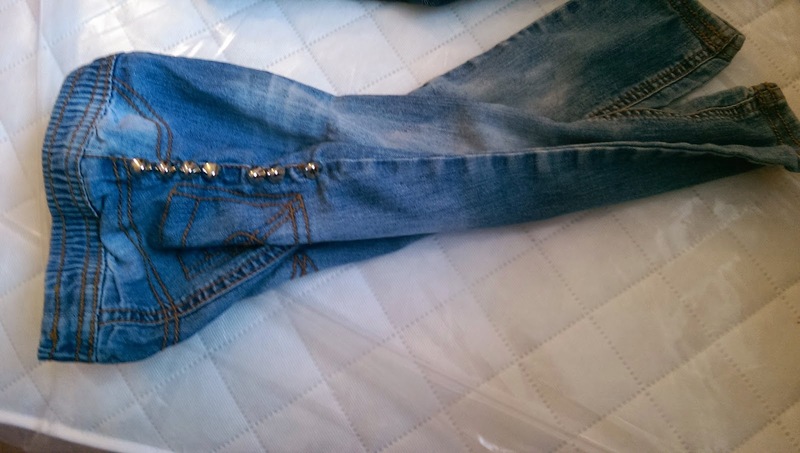 I also did a size 2-3 darker denim pair of George jeans, also from a Jack and Jill fair. Both were probably about 50p each. I don't really spend much money on clothes as she grows out of them so fast or lately get wrecked from being outside. 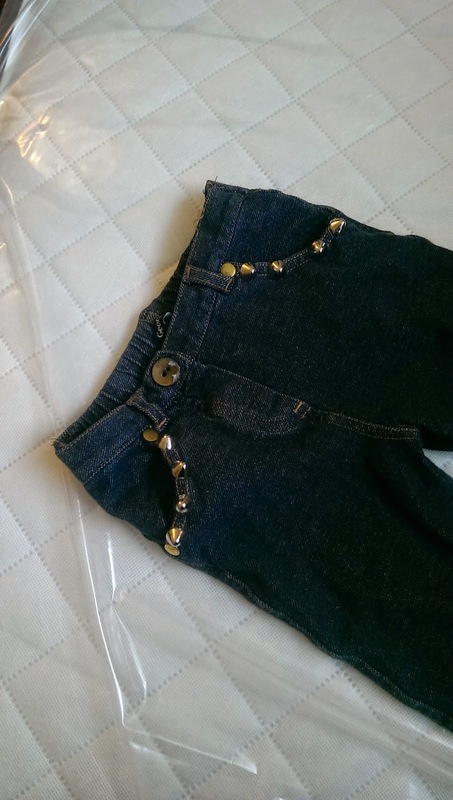 I really recommend NCT or Jack and Jill nearly new sales for good quality kids clothes. Eva has a beautiful wardrobe of clothes from these places. 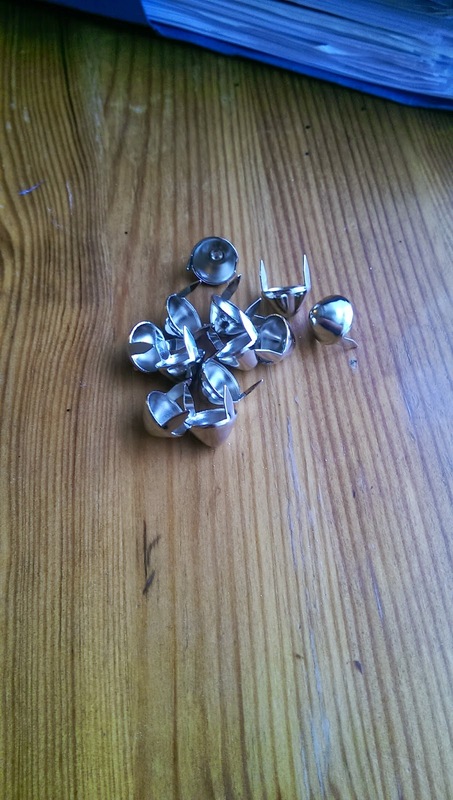 Conical studs. I got mine from ebay for £1.20. 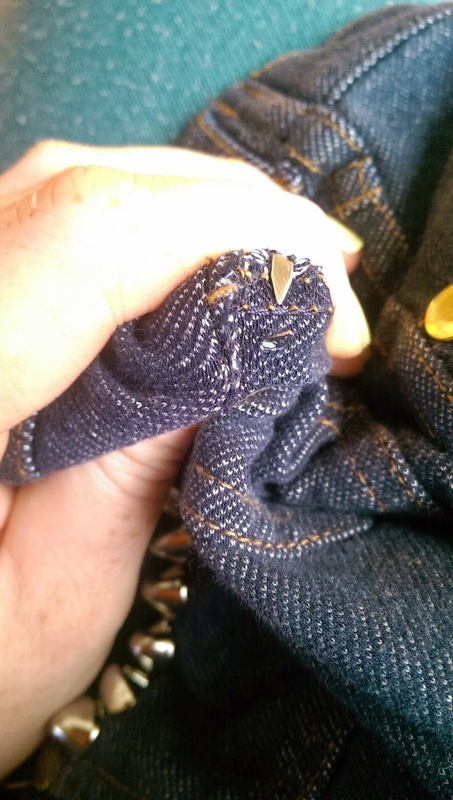 You can stud almost any strong seam of clothing though I find jeans work really well. I went for typical places to stud as inspired by these items. 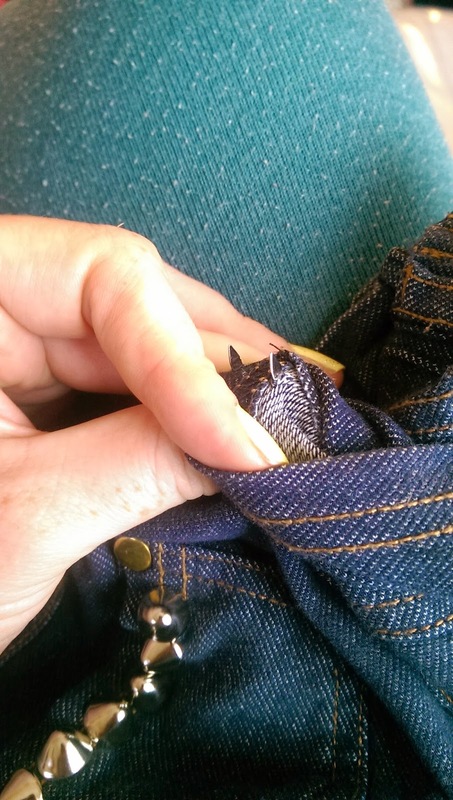 Place the first stud on the seam, stab it through and carefully fold back the prongs with your fingers/nails or a pair of scissors. Place the next few studs all along this seam. 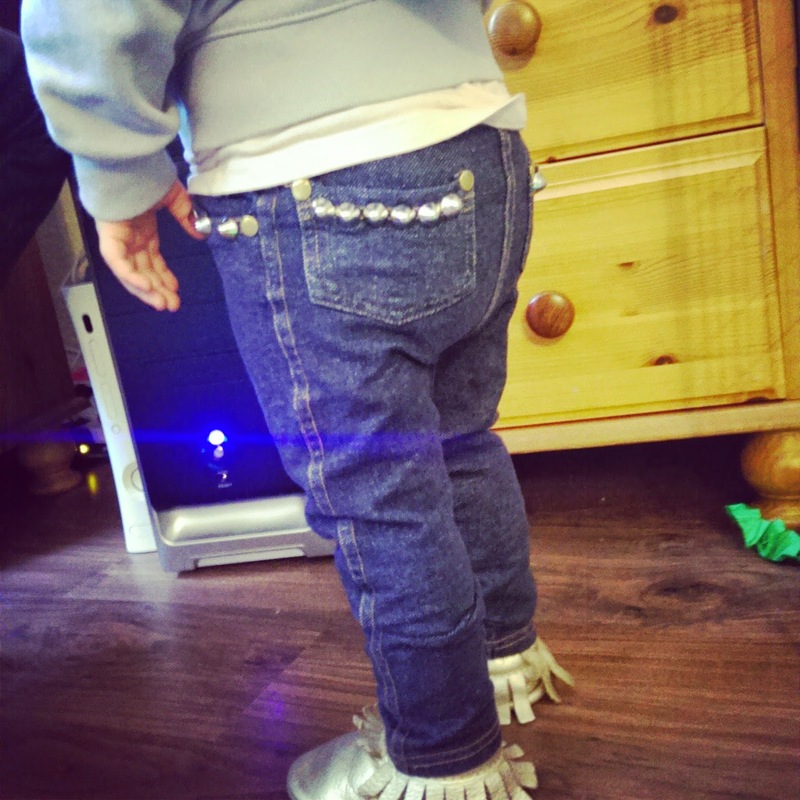 Eva wearing her 18-24 month newly studded jeans, I added more studs to the bottom of the seam after this picture. 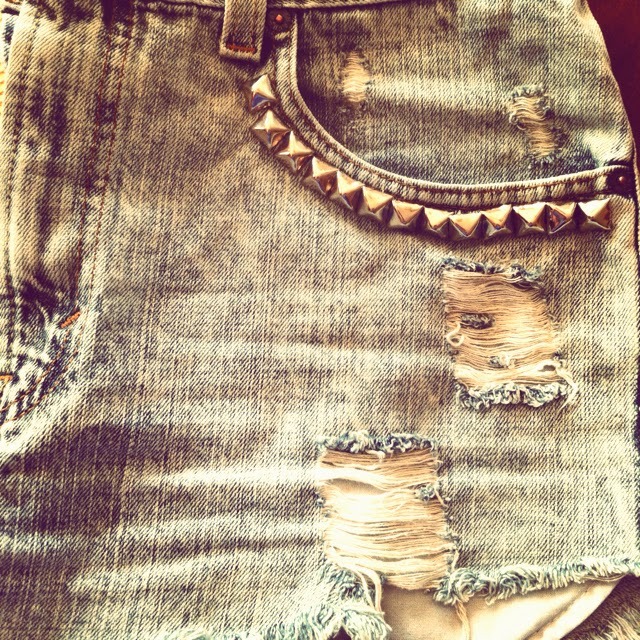 I want the studs to actually show when she's wearing them. I'm really happy with how both pairs are looking. 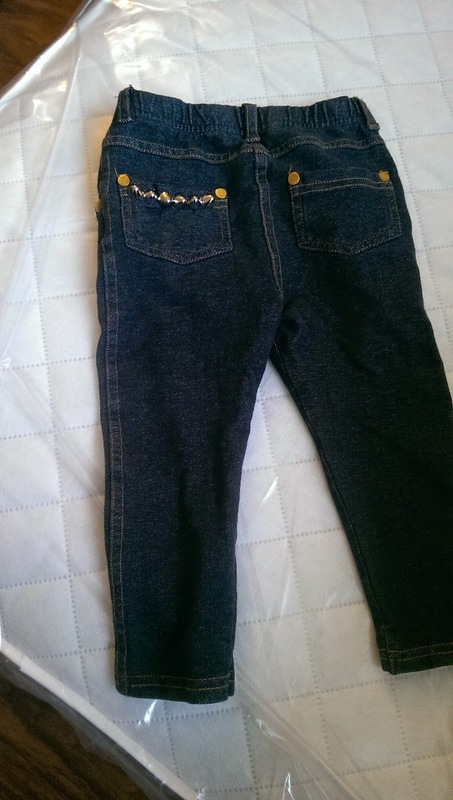 Not too bad for £2.20 in total for two pairs of jeans, huh? 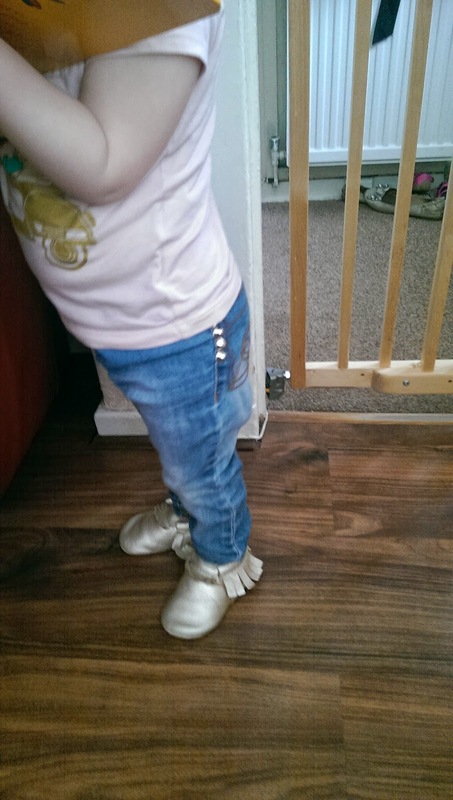 Eva wearing her 2-3 year old jeans. There's our rainy sick day antics so far, hopefully tomorrow we're both feeling better and Eva gets a chance to go out wearing her newly studded jeans at Mums and Tots, our usual Thursday gig. Ah the life of a Mum!Dad's away looking at an estate car tonight so hopefully he brings that home if he likes it, then I can worry that bit less about all the things we need to get for new baby! If anyone has any other suggestions for clothing customization I'm all ears, were always game to try new things here! 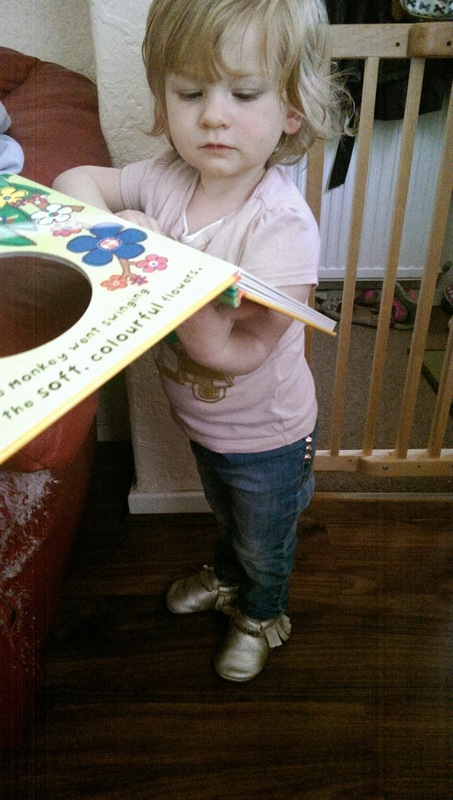 Remember there are only 2 days left to enter the Freshly Picked Moccasins Giveaway, I'm so glad I could share this competition with you as I love Eva's moccs so much.